A highly economical choice, these 47 litre Plastic Push Bins can often be the most inexpensive and functional solution in kitchens or home offices. 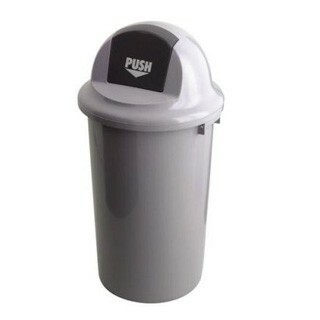 Whilst this 47 litre plastic push bin is simple in its design and colour, it will certainly do a fabulous job in any room of your house and it has the capacity to handle waste from most busy family kitchens. 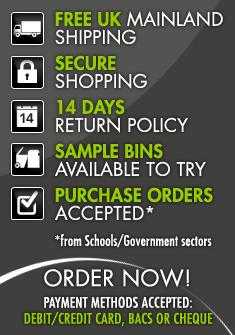 We've even seen these bins used in fast food restaurants and other commercial premises. The lightweight, robust design offers reliability and manoeuvrability and it can be cleaned very easily with a damp cloth and soap. This Bin would be ideal as a kitchen bin or bin for the office. Its lightweight, robust design also adds to the manoeuvrability. The other major selling point of this Waste Bin is the surface of the bin is easily cleaned with a damp cloth and soap.